Did you host a holiday party this year? Was everything planned out or was there a mad dash to get things ready at the last minute? Did you take care of cleaning the house by tossing all the clutter into a spare room? There is actually nothing wrong with that. But now as you start the New Year it’s a perfect opportunity to get rid of that clutter once and for all. That can happen very fast and efficiently with one call to Junk King Dallas. Just how many things in your home do you think you could get rid of with the help of Junk King Dallas? Is it Time to toss out the old sofa down in the basement? Do you have a broken stove or refrigerator on the back porch that you want to get rid of? What about all those clothes in the closet that you know you’re never going to wear again? All of that stuff can be turned over to the Junk King Dallas crew. Just think of how your home will look after that junk is gone. Imagine how easy it is to find something in your closet when you don’t have to wade through all that clutter. This is what can happen you turn that all over to Junk King Dallas. 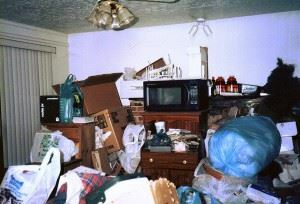 The junk cleanup that Junk King Dallas provides can also extend beyond the basement and garage. You could have some items around your yard that need to be removed. Junk King Dallas will happily take away spare tires, engine parts, lawnmowers, and even an old tool shed that is falling down. There is no job too big or too small for Junk King Dallas to handle when it comes to junk removal. As for the cost, you’ll find that hiring Junk King Dallas is much more affordable than if you were to price this out on your own. You have to rent a truck, higher your own day laborers and then sacrifice in an entire afternoon to get the job done. Plus, you might not even know where to drop off all the stuff once it was loaded onto the truck. Just leave all that hassle to Junk King Dallas. Let 2017 be the year of no junk in your home. Junk King Dallas can make it happen. This entry was posted in junk removal and tagged junk, Junk King, junk removal on December 31, 2016 by Renee Ferguson . Last updated August 14, 2017 .